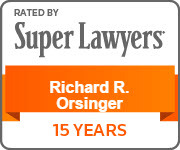 Richard Orsinger is well-regarded as one of Texas’ top family law and appellate lawyers. He offers clients unparalleled experience gained over the course of an esteemed 39-year career. In that time, his peers have repeatedly recognized him for his legal acumen, dedication to hard work and to the integrity of his profession. The list of awards bestowed upon him from a variety of legal organizations and publications is impressive. Richard has been named to The Best Lawyers in America in Family Law listing each year since 1987 and in Appellate Law since 2007. In 1996, Richard was honored with the Gene Cavin Award for Excellence in Continuing Legal Education from the State Bar of Texas, and has garnered four State Bar Certificates of Merit. 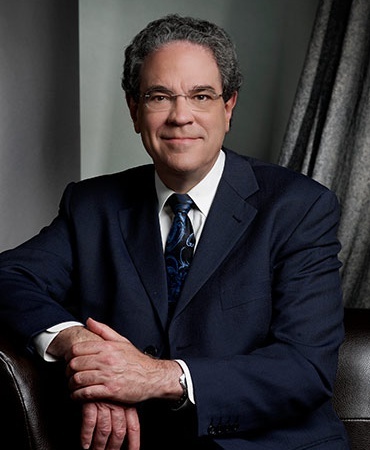 He received a State Bar of Texas Presidential Citation in 2001 for “innovative leadership and relentless pursuit of excellence for continuing legal education.” The same year, Richard earned the State Bar of Texas Family Law Section’s Dan R. Price Award for outstanding contributions to family law. In 2003, Richard was awarded the prestigious Sam Emison Award by the Texas Academy of Family Law Specialists for his accomplishments in family law. In 2007, Richard was honored as the state’s top Family Lawyer in Texas Lawyer newspaper’s Go-To Guide, which is published every five years. He is also one of just two attorneys to have earned the College of the State Bar of Texas’ Franklin Jones Best Continuing Legal Education Article Award twice (2009 and 2013) and was the 2008 recipient of the State Bar of Texas’ Best Family Law CLE Article of the Year Award. Richard was recognized in 2011 and again in 2012 as Lawyer of the Year in Family Law, Dallas. He also was included in the listing of the Top 10 attorneys in the state by Texas Super Lawyers five times: 2009, 2010, 2012, 2013 and 2014. 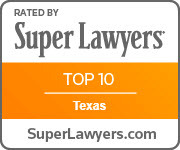 He has been named among Super Lawyers’ Top 100 Lawyers in Texas each year since 2003. In 2014, Richard received the prestigious Dan Rugeley Price Memorial Award from the Texas Bar Foundation in recognition of his dedication to the legal profession. Richard Orsinger is Board Certified in Family Law and Civil Appellate Law by the Texas Board of Legal Specialization, demonstrating his ongoing commitment to excellence in both of these areas of law. Board Certification in Family Law requires continuing education and involvement in issues including marriage, adoption, divorce, custody, support and ownership of property acquired before and during marriage. Similarly, Board Certification in Civil Appellate Law requires continuing education and involvement in issues such as the review by appellate courts of final decisions from civil county and district courts (non-criminal). With so many accolades and recognitions, it comes as no surprise that his colleagues and peers consider him a thought leader and innovator. As such, he often mentors other attorneys and has written over 250 CLE articles. Richard also serves on several boards and chairs numerous organizations for the betterment of the legal community and to better serve his clients. One reason Richard Orsinger has been so highly regarded and honored throughout his career is that he understands that, no matter how agreeable a divorce may seem, the process still causes a massive imbalance. There are always uncertainties and they can be very destabilizing, both financially and psychologically. The process of breaking a tie that’s been so close, usually for so long, has its consequences. Awards and accolades aside, when all is said and done, Richard’s goal is for his clients to come out from under the dark cloud of yesterday and look forward to the silver lining of tomorrow.